According to the JP’s Sports & Rock Solid Promotions website, the cost of admission to the “March Madness Show” for adults is $10 per day. Show hours for Sunday, March 12th are 10:00 a.m. to 4:00 p.m.
Roberto Alomar is a former MLB second baseman who played for the San Diego Padres from 1988–1990, the Toronto Blue Jays from 1991–1995, the Baltimore Orioles from 1996–1998, the Cleveland Indians from 1999–2001, the New York Mets from 2002–2003, the Chicago White Sox in 2003, the Arizona Diamondbacks in 2004 and the Chicago White Sox again in 2004. Alomar is a twelve-time All-Star from 1990 through 2001 plus he is a two-time World Series champion for 1992 and 1993. Alomar has earned numerous honors and awards. He is a ten-time Gold Glove Award winner for 1991 through 1996 and for 1998 through 2001 plus he is a four-time Silver Slugger Award winner for 1992, 1996, 1999 and 2000. In 2011 Roberto Alomar was inducted into the Baseball Hall of Fame plus his number 12 jersey was retired by the Toronto Blue Jays in the same year. PFP Sports Talent Agency is a top booking agent for motivational sports speakers and sports personalities. 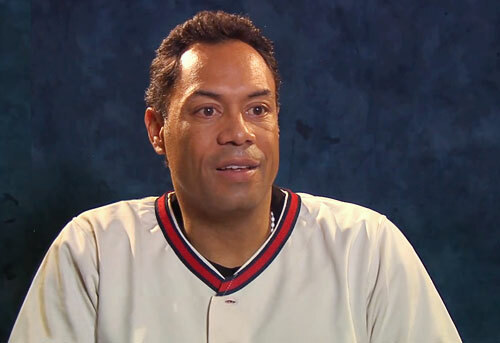 If you would like to book MLB stars like Roberto Alomar for a speaking engagement, personal appearance or special event, you can request Roberto Alomar agent and speaker information from PFP Sports Talent Agency or call 800.966.1380.